How fabulously this beautiful painting sits in its milieu. From the moment, I photographed all the art in the village, and I love so many, this was my favourite. 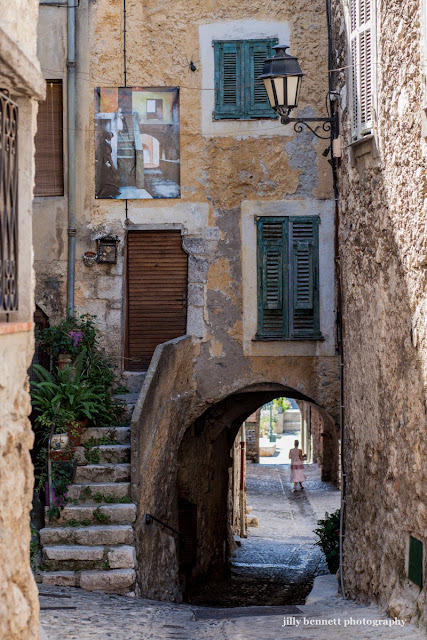 To learn that is was painted by the Mayor of Gorbio, Michel Isnard, is no surprise as he is an artist of renown. 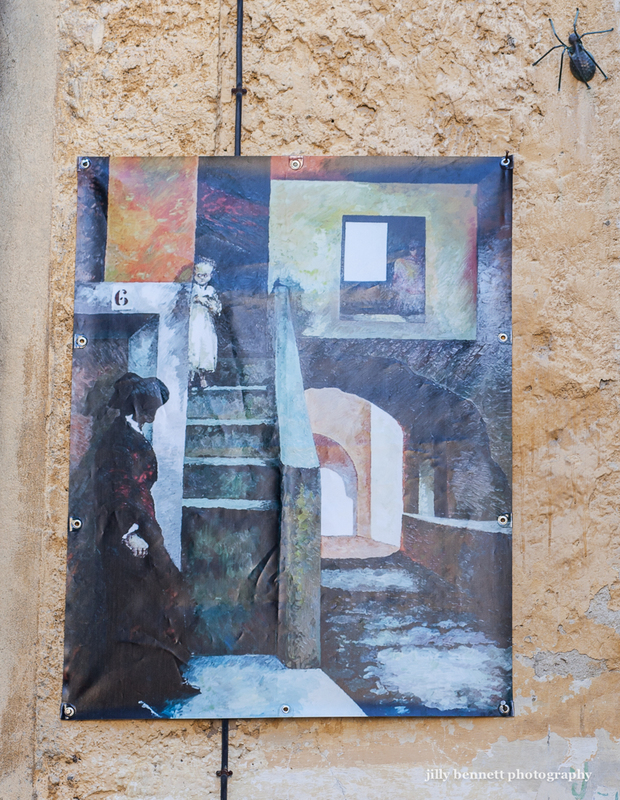 I spoke with him yesterday and he explained that this painting is autobiographical and speaks of the time over 40 years ago when he moved to the village of Gorbio and was, at that time, a stranger. Comment fabuleusement cette belle peinture se trouve dans son milieu. Depuis le moment où j'ai pris les photos de tous les tableaux dans le village, je l'aime tellement, c'est mon préféré. Et apprendre qu'il a été peint par le maire de Gorbio, Michel Isnard, ne fut pas une surprise car c'est un artiste de renom. J'ai parlé avec lui hier et il m'a expliqué que cette peinture est autobiographique et parle du temps, il y a plus de 40 ans de cela, où il a emménagé dans le village de Gorbio et était, à ce moment-là, un étranger. Fir have long will this picture be exhibited. When you have taken the picture of the environment where it is placed, and the picture position. Was it possible also to exhibited the picture in a close up. To days picture is very difficult to judge. I've now added a close-up of the painting and if you click on it - or the main photo you will find then enlarge. This is a wonderful series, Jilly. I don't think I can pick a favorite!